In 2017, following the sale of ITS premises at Rugby Place at Circular Quay, Rugby Club Limited became The Rugby Club Foundation Limited. Throughout our history, the Club has played a significant role in spreading and strengthening the influence of the game around Australia. Our history can be traced back to 1943. Our original premises were established as a city base for all Rugby players and lovers of the game. The Club was originally the HQ of the NSW Rugby Union and later the Australian Rugby Union. Wallaby touring teams were presented with their jerseys at the Club. It was also where the Australian and New Zealand Rugby Boards met and agreed to establish the Rugby World Cup and later the Super Rugby and Tri-Nations competitions. The Club's main bar was named The World Cup Bar in honour of where “Bill” was born. The Club now has a new vision of “Sharing the Spirit of the Game’’, and, through this vision, we are increasing our financial support of grassroots Rugby across the country. Angus Bruxner was first elected to the Board of The Rugby Club on 31 March 1998. He was elected as Vice President of the Club in April 2003 and served in that role until the 2013 Annual General Meeting. He was elected as President of the Club at that meeting and has served in that role until the present time. Angus has practised continuously as a Solicitor in the Sydney CBD since 1974. He continues to be a Director of a group of pastoral companies operating properties in North Western NSW. Angus was a founding member and the inaugural Vice President of the Sydney Harlequins Rugby Football Club. He was elected as President of Sydney Harlequins in February 2011 and continues in that role. He also acts in a team managerial capacity with Sydney Harlequins. Angus was appointed to the Board of the New South Wales Suburban Rugby Union in 2017 and continues in that role. He has been a member of the Executive of the Board since 2003. He served on the Property Committee since it was formally established in 2011 and was chairman of that committee throughout the period when the sale of the Club’s Rugby Place property was negotiated and completed. He is a continuing member of the Finance and Investment Committee. 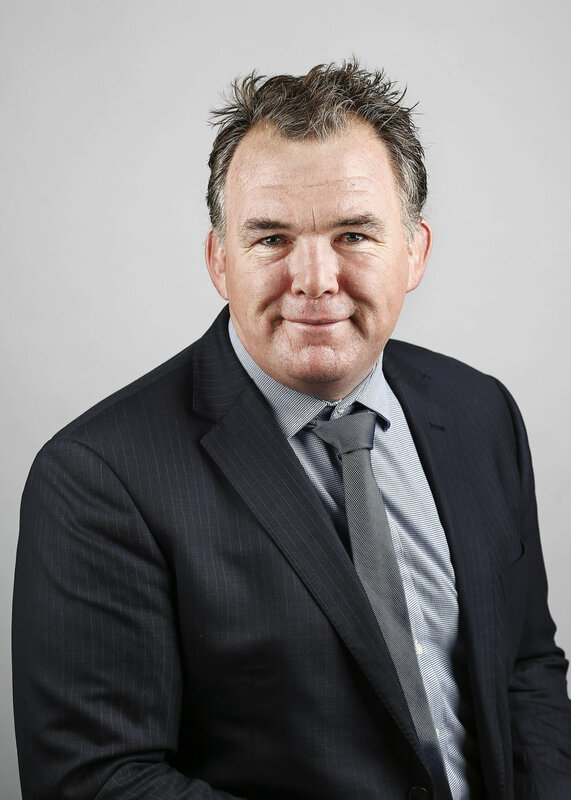 His 18 years of experience as a Director of a licensed club and his lengthy experience as a practising solicitor and Director of a substantial pastoral operation means that Angus brings an appropriate level of commercial expertise and business acumen to his role as a Director of the Club. Apart from his lifelong interest in Rugby Angus maintains a close affinity with many sports. He has been a continuous member of the Sydney Cricket Ground since 1960 and a Gold member of the Sydney Cricket Ground and Sydney Football Stadium (now Allianz Stadium) since membership of the combined venues was introduced. He has been a member of Royal Sydney Golf Club since 1967 and he is a longstanding member of the Australian Turf Club and its predecessor, the Australian Jockey Club. Angus seeks to continue assisting his fellow directors in implementing a vision and strategies for the future direction of The Rugby Club Foundation which will best serve the interests of its members and Rugby in general. In pursuing those strategies, he recognises that the actions which have been implemented in relation to The Rugby Club’s real estate have involved what was arguably the most significant decision-making process which the Club had undertaken since it was established in 1945. In pursuing the strategic objectives of The Rugby Club Foundation Angus continues to encourage a level of stability and camaraderie within the Board of Directors which will ensure that the maximum level of corporate governance and associated protocols are always observed and that the best possible outcomes are achieved for The Rugby Club Foundation, its members and Rugby in general. Peter Whittington was appointed to the Board of The Rugby Club on 26 February 2009. He fulfilled initial roles on the Marketing and Promotions Committee and House Committee during 2011 and 2012. Those committees pursued objectives designed to enhance benefits and facilities for members, and to bring Rugby players and clubs to the Club’s then proud establishment. Peter served as Treasurer of the Club during the period 2012 to 2013. He was elected as Vice President of the Club on 29 May 2013 and has continued in that role until the present time. As Treasurer and Vice President he has served on the Executive of the Board during the period 2012 to 2018 inclusive. He has continuously served on the Finance and Investment Committee and the Property Committee since 2012. He was a member of the Property Committee throughout the period when the sale of the Club’s Rugby Place property was negotiated and completed. Peter served as the Secretary and Licensee of The Rugby Club from 2011 to March 2013 and was appointed as Secretary of The Rugby Club Foundation on 31 January 2017. Originally playing for Sydney University, Peter switched to Suburban Rugby and later served as President of King’s Old Boys’ Rugby Club from 2006 until 2010, and was ultimately awarded Life Membership. Though age wearies, he is still playing for the Club as one means of staying directly engaged with grassroots rugby. 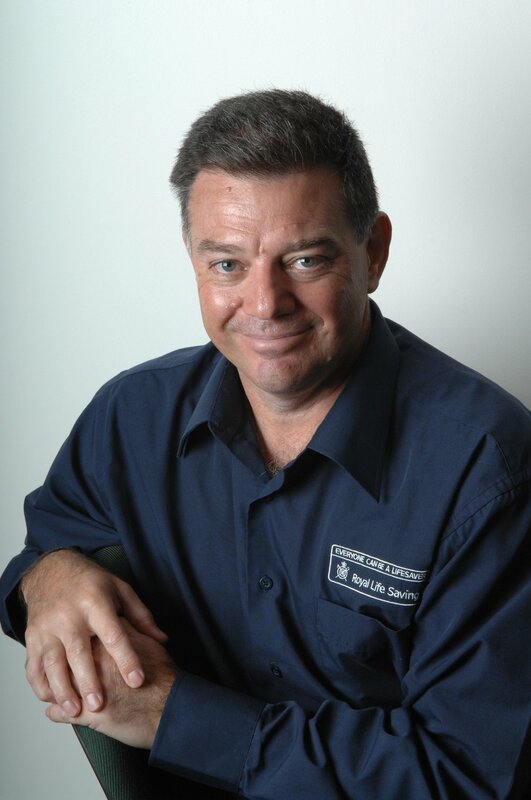 He was elected as a member of the Board of the New South Wales Suburban Rugby Union in November 2009 and served in that role until November 2012. Peter remains an active member of his old school community. He was elected President of The King’s School Old Boys’ Union for a 2-year term in November 2014, and during that period was appointed as a Governor on the Council of The King’s School in February 2016. He presently serves on the Risk Audit and Compliance Committee of Council. Professionally, Peter initially worked in the civil construction industry in operations, then communications and marketing. He then spent 5 years at CPA Australia, and a further 5 years at The Tax Institute developing strategic relationships with business partners in addition to managing national sponsorship and advertising sales. Upon completing his MBA (Business Law), in April 2015 he commenced employment as a Partnership Executive with Perpetual Private. Peter’s role focusses on the accounting and legal industries, deepening relationships with firms to complement their work with high net wealth individuals and business owners. Peter is completing his Dip. Financial Planning in 2018. Peter believes there is much opportunity for our Club in the future and continues to work hard to ensure that The Rugby Club Foundation grows and enhances its profile whilst remaining relevant to the wider Rugby community. 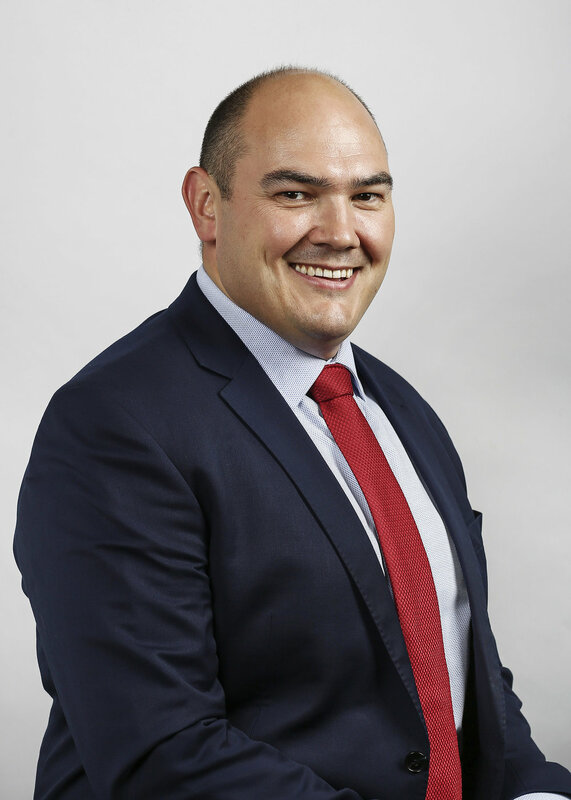 Stirling Mortlock AM was first elected to the Board of The Rugby Club on 8 September 2015. As chairman of the Board’s Investment Committee Stirling was integrally involved in formulating and implementing The Rugby Club Foundation’s investment strategy and in recruiting and engaging the Foundation’s current investment manager. Stirling was appointed as Treasurer of The Rugby Club Foundation on 19 February 2018. Stirling holds a Bachelor of Science degree from Sydney University and a Graduate Diploma in Applied Finance from Kaplan. Stirling is currently a founding partner of Unio Advisors, a boutique financial advisory business. Unio Advisors is an independent external asset manager based in Australia with a diverse client base covering High Net-worth’s and Family Offices. Prior to being in the boutique wealth space Stirling was employed with the National Australia Bank as Senior Manager, Client Relationships Corporate Superannuation. This entailed leading an experienced team of Relationship Managers who were providing the bank’s corporate and institutional clients with market leading wealth solutions. Prior to that position Stirling acted as a Wealth Director in Global Institutional Banking at National Australia Bank, a role which entailed connecting institutional clients with corporate wealth solutions. Specifically Corporate Superannuation, Group Insurance and Asset consultancy solutions as well as Employee benefits solutions including Private Wealth, J B Were and retail bank. Stirling has twice held board positions at the Rugby Union Players Association (RUPA) from 2003 to 2005 and 2010 to 2012. Stirling was a Board Member for the Melbourne Rebels during 2014 to 2015 until ownership of the franchise was transferred to a private consortium. Stirling is a co-patron of the Sporting Chance Cancer Foundation and is also the patron of the Gordon Rugby Foundation. Stirling pursued an illustrious Rugby playing career. He is a former Wallaby captain who secured 80 Wallaby caps, 29 of them as captain. He also earned 138 Super Rugby caps and scored in excess of 1000 Super Rugby points. He captained the Brumbies and Rebels in Super Rugby and captained the Gordon Premiership winning U19 team. Stirling is a Rugby Life member of The Rugby Club Foundation. Adam Freier was first elected to the Board of The Rugby Club on 8 September 2015. Having worked and played for over 20 years in professional Rugby, Adam has a unique skill set that allows his views to represent many of levels of the sport. Adam’s professional Rugby began in Canberra at the Brumbies in 2000, making his state debut against Queensland. He then returned to his home state of New South Wales for the Waratahs in 2003, where he spent eight seasons, one as captain. In 2010, he moved to Melbourne to join the Rebels for two seasons retiring from professional Rugby in 2012 with a total of 105 Super Rugby Caps. Adam continues to play Club Rugby and in the NRC. Adam debuted for the Wallabies in 2002 against Argentina, playing a total of 25 tests, and participating in two Rugby World Cup campaigns in Australia (2003) and France (2007). During his time in Rugby, Adam was President of the Rugby Union Players’ Association (RUPA) and was a regular media contributor and sports commentator with the ABC and Fairfax. In late 2012 when he moved in sports administration, Adam was appointed General Manager – Media and Communications at the Melbourne Rebels. In January 2015 Adam was appointed as the Senior Communications Director with the Australian Rugby Union (now known as Rugby Australia), before becoming Head of Digital and Wallabies Media that same year, leading content for the Wallabies at the 2015 Rugby World Cup in England. Adam is a Rugby Life member of The Rugby Club Foundation, working across many boards and foundations in sports, including the Randwick Rugby Club, Classic Wallabies and SpinalCure Australia. Adam is currently the Head of Marketing and Digital at Rugby Australia. 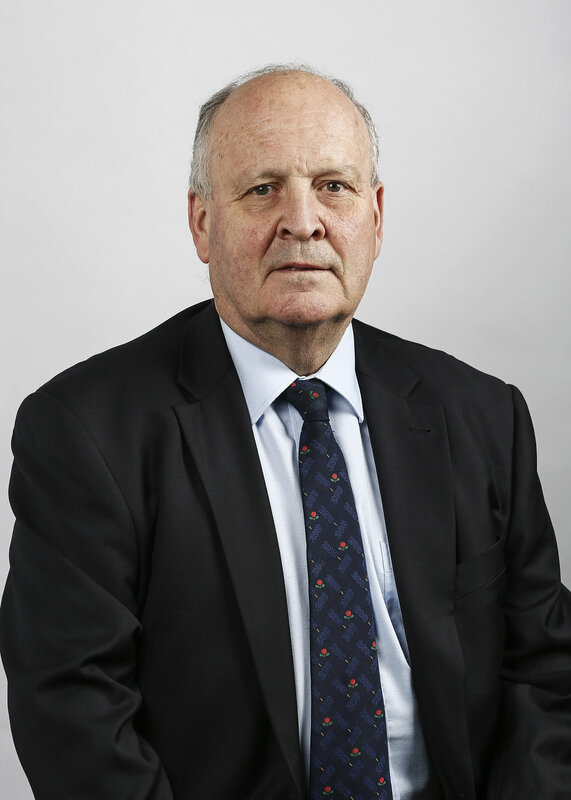 James Maxwell was first elected to the Board of The Rugby Club on 8 September 2015. James has been a member of The Rugby Club since he turned 18 on 1 October 1988. For more than half his life he was a regular attendee at The Rugby Club’s dining room and bar and at all functions including major functions. He was therefore very familiar with the Club’s traditions and the facilities and services available to its members and patrons. James is a Solicitor, Trade Mark Attorney and Notary Public. He owns, operates and manages two businesses, namely, Maxwell IP, Intellectual Property Lawyers and Peter Maxwell & Associates, Patent and Trade Mark Attorneys. Peter Maxwell & Associates has been in existence for more than 30 years. He has also been involved in other businesses over the years. Both of his firms are very involved in rugby union as they act for New South Wales Rugby Union Limited, South African Rugby Union and other rugby union bodies. They have previously acted for the Australian Rugby Union Limited. James was elected as president of Manly Roos Junior Rugby Union Club in November 2017 and is actively involved in the day-to-day operations and management of this club. He was elected to the Board of the Manly Junior Rugby Union in December 2017. In light of these appointments, James has strong links with the game at grassroots level and a great insight into the issues faced by junior rugby clubs throughout the state. James has been involved with Rugby and has been a supporter of the game since he first began playing at the age of five in 1975. James is a foundation life member of the New South Wales Rugby Union and also a member of the Australian Turf Club and the Victoria Racing Club. Paula Ward was appointed to the Board of The Rugby Club on 20 March 2017. Paula possesses the valued combination of business and sports administration experience and has a proven track record of successfully transforming businesses grappling with a significant change agenda. A registered psychologist, Paula led Equestrian Australia from January 2016 until June 2018 as their Chief Executive. With the vision of enabling Equestrian sport to thrive in Australia for generations to come, Paula successfully undertook a significant transformation of the business to establish stronger commercial and community partnerships, introduce newcomers to horse sports and build clearer development pathways for all members. In 2014, Paula became the inaugural Chief Executive Officer for the Judo Federation of Australia. The primary focus was to lead their agenda for governance reform, organisational change and the development of their 2020 High Performance strategy. Prior to this, demonstrating her ability to bring entrepreneurial ideas to life, Paula founded the niche consultancy, Know The Game, in 2010. Paula achieved year on year revenue growth and introduced more than 3000 people to Australian sport as a mechanism for inclusion and social cohesion. A significant portion of her business revolved around rugby. It is this connection that introduced her to The Rugby Club. Before immersing herself in the sporting sector, Paula held HR executive roles with Goldman Sachs J B Were, PKF Chartered Accountants & Business Advisers and Atlassian. Paula was a driver of cultural change and continually demonstrated the knack for operationalising strategy in a pragmatic and commercially sustainable way. 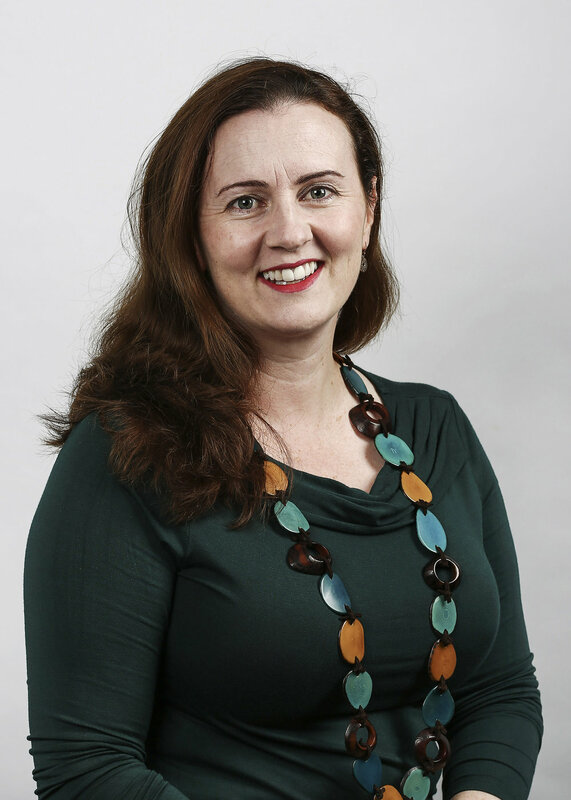 Paula has previously served two terms on the Board of The Rugby Club, from April 2013 to August 2015, fulfilling roles on the Finance Committee, Marketing & Operations Committee and Rugby Club Foundation, as well as being a founding member of the Sydney Rugby Business Network Organising Committee. Paula is currently the chairperson of the Board’s Grants & Sponsorship Committee. Other non-executive roles Paula has undertaken include being appointed in 2011 to the inaugural Cricket Australia Multicultural Reference Group, serving until October 2013. She was also on the Executive Committee of the NSW Equal Employment Opportunity Practitioners’ Association from 2010 to 2014, fulfilling the Vice President role in her last year. Paula was also a Non-Executive Director of the Australian Womensport & Recreation Association from 2014 to 2016 and led their Commercial & Business Development Committee. Paula was a member of the Weary Dunlop Club in Victoria for over a decade and a Foundation Member of the Melbourne Rebels. She has previously held memberships with Cricket Coaches Australia and NSW Yachting. She is a current member of Kooyong Lawn Tennis Club and the Australian Davis Cup Tennis Foundation and has been since 2003. Although now based in Sydney, Paula continues the long wait for admission to the Melbourne Cricket Club. Stuart Dickinson was first elected to the Board of The Rugby Club on 8 September 2015. He currently chairs the Board’s Membership & Rugby Relations Committee. Stuart is Australia’s most capped Test and Super Rugby Referee having officiated in 47 Test Matches and 98 Super Rugby Matches as well as being the only Australian Referee to be selected at three Rugby World Cups. He was a member of the IRB (now World Rugby) merit based referee panel from 1996 – 2011 and his refereeing career straddled the amateur and professional era prior to his retirement in December 2011. He has officiated at the 1999, 2003 and 2007 Rugby World Cups, 1997 Sevens World Cup, the Commonwealth Games in 1998 (Kuala Lumpur) and 2002 (Manchester, where he refereed the 7’s Final), 6 Nations, Lions Tour matches and Test Matches, Tri Nations, RWC Qualifiers, Super Rugby and Club Rugby. Stuart is the recipient of the NSW Police Commissioners' Medal of Valour for disarming an armed offender who attempted to shoot him. The communication, management and leadership skills used in policing have been present throughout his life and helped him become one of the world’s leading rugby referees. Whilst refereeing he completed a Masters of International Sports Management through Southern Cross University’s MBA programme and returned to part-time work as part of his transition strategy from Rugby. Stuart has a successful track record in highly competitive and pressurised working environments, demonstrating an ability to lead and direct multi-disciplinary teams within a broad range of functions and industries. In addition, his experience includes leading transformational cultural change, budgetary management, development and ongoing successful stakeholder relationship both domestically and internationally in logistics, manufacturing, marketing/sales, business development, professional services, policing and sports management. Stuart is currently a Consultant with JMJ Associates, a global Management Consulting firm, focused on transformational leadership, creation of high performance organisations, people and culture as well as safety leadership. Clients include, Toll, Boeing, Chevron, NASA, Rio Tinto, Shell, Total, Maersk, BHP, Origin Energy and others. Stuart has been involved with Rugby since he was 4 years of age and says that this game has allowed him to develop as a person through global travel exposing him to people, cultures and experiences that are life changing. He says that he is now enjoying the next steps of life off the field and saw the opportunity to become a Director at The Rugby Club as part of a bigger picture where he can add his skills to help be a part of a team that takes this wonderful club, with all of its history, on a successful journey forward. Stuart is a Rugby Life member of The Rugby Club Foundation. Owen Finegan was appointed to the Board of The Rugby Club Foundation on 16 October 2017. Owen pursued an outstanding Rugby career, representing the Wallabies and the ACT Brumbies with distinction for over a decade. He was a foundation member and a key performer for the ACT Brumbies from their inception in 1996, playing in 93 Super Rugby matches and captaining them to their 2004 triumph. He made his international debut against Wales in 1996 and went on to win 56 caps. He was an integral part of the Wallabies’ success over the following decade and was named in the Wallaby team of the first professional decade in 2005 and was Australia's player of the year in 2001. The undoubted highlight of Owen's career came in 1999 when he scored an injury time try as Australia won The Rugby World Cup. In 2008 Owen retired from professional sport and returned to the ACT Brumbies where he spent three years coaching professionally in Canberra with the Brumbies and as a consultant to the Samoan Rugby Union. Owen is currently the CEO of The Kids’ Cancer Project which supports bold scientific research to achieve its vision of 100% survival of children with cancer while eradicating the harmful impacts of treatment. The organisation which Owen leads is a national leader in childhood cancer research funding the most promising research projects being undertaken across Australia. Owen’s passion for the game of Rugby continues off the field where he coaches junior, premiership and representative Rugby and is a director of the Sydney Junior Rugby Union. Owen is a Rugby Life member of The Rugby Club Foundation.